ExOil is Petroleum Services Waste Oil Collection and Recycling division with a mission to provide a sustainable solution today for a cleaner tomorrow. It is important that used lubrication is disposed of in a way which does as little harm to environment as possible. With this in mind Petroleum Services has partnered with Salters Cartage and Fulton Hogan to create and manage a national waste minimisation scheme in order to ensure waste oil is collected and recycled if possible, or, disposed of in an environmentally firendly manner. The scheme is called ROSENZ an accornym for Recover Oil and Save the Environment of New Zealand. The scheme managers have been independantly audited by the Minister For The Environment, and the scheme has become an accredited waste minimisation scheme of product stewardship under the Waste Minimisation Act. Providing a sustainable solution TODAY for a cleaner TOMORROW. Recycling your used oil will help protect the environment. 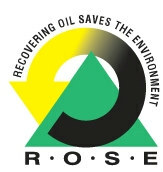 ROSE NZ - (Recovering Oil Saves the Environment) is a scheme set up with the purpose to manage and contract the collection of used lubrication oil (ULO) to be re-used as an alternate fuel source to diesel, gas and light fuel oil (LFO). ROSE promotes using the ULO to assist in minimising the potential for the illegal and harmful discharge to the environment and to provide a sustainable and consented use for the ULO. The ROSE scheme and its scheme managers have been independently audited by the Ministry for the Environment (MFE) and it is now an accredited waste minimisation scheme of product stewardship under the Waste Minimisation Act. Petroleum Services Ltd is a member and scheme manager of ROSE NZ and operates a Used Oil Collection Service under the brand ExOil. We are dedicated to helping maintain a clean environment through providing a sustainable solution for waste oil recycling. What happens to the used oil? The collected oil is re-processed where required and then used as a fuel in high temperature industrial burning applications such as Asphalt Plants and Timber Production. These applications require stringent controls over the quality of used oil consumed and must meet emission standards as consented by local authorities. We are taking what has traditionally been considered a waste product and giving it a second life as a consented industrial fuel. This reduces the demand on raw fossil fuels and supports primary New Zealand industries. As a collection company we comply with the Guidelines for the Management and Handling of Used Oil, 2001 (MFE Guidelines, 2001).